Ahmad Mutammim, Head of Marketing, Fullerton Markets International talks about the opportunities that data provides and the challenges that come with it. With innovative disruption changing the digital economy, customer expectations are on the rise. How have you changed your digital marketing strategies to deal with rising customer expectations? This cannot be truer: marketers today are faced with growing customer expectations, that are also continually evolving. It’s never been more important to ensure that marketing strategies are driven by careful listening – to what customers are saying as well as what they aren’t saying. Listening – both online and offline – ensures that we feel the pulse of our customers and generate relevant content that understands where the customer is in the buyer’s journey. This focus on greater personalization helps to build consistency and trust with our clients. Operating in the era of mobile technology also poses its own set of challenges. Customers’ attention spans have greatly shortened, making highly visual and impactful marketing materials even more crucial for brands to be successfully noticed or remembered. Customers have little time and patience to read through a long sales letter; they appreciate instead being provided with information that is both useful and immediately digestible. Another trend that we are seeing is decreasing click-through rates for banner ads and increasing costs per click, with people becoming increasingly immune to intrusive and disruptive ads. Our team is thus channeling efforts into developing engaging, targeted content that addresses our customers’ needs and pain points. How much impact does your social media strategy, and mobile app marketing have on your ROI? What are the online platforms that work well for your organization? Within ASEAN, our main target market, social media use continues to experience year-on-year growth, a trend which I don’t foresee slowing down. Of course, in certain countries, some social media platforms are more popular than others. LINE, for example, is the number one messaging service in Thailand, with over 40 million users in the country. Telegram is also another platform that our regional customers frequent. For Indonesia and Philippines, a strong presence on Facebook has helped us with lead generation and content distribution. No doubt, social media plays a huge part in our overall marketing strategy and has been the cornerstone of our various campaigns this year. In less than 10 months, social media has more than doubled our monthly leads. Influencer marketing, AR/VR, chatbots, hyper-personalized marketing are the growing trends of today. As a modern marketer, what is your view on the use of martech in your marketing strategy? Harnessing martech has not only increased our efficiency and efficacy, but also helped us expand our reach across different buyer communities. I think of particular interest is influencer marketing. While it has been around for a long time, it seems to have been gaining more traction of late, with many companies incorporating this into their bigger marketing strategy. Figures with social clout have that added influence not just on the masses, but on followers they’ve built a relationship with, thus helping you put your messages out to an actively engaged audience. For us too influencer marketing has proven to be highly effective in building a strong social media following and increasing awareness of our brand. We leverage influencer marketing, alongside other marketing strategies, to increase awareness of Fullerton Markets’ offerings. Currently, we are researching and testing out chatbots, a powerful tool that we think has great potential to generate leads and improve engagement with our clients and prospects. With more tests, we’ll be able to measure its effectiveness and decide how best to scale up its use for the company. In what ways do you think AI, data and machine learning are transforming the way we are approaching marketing today? Big Data has been the big buzzword in recent times – and rightly so. Big data enables intelligent marketing and creates better customer experiences. How so? By diminishing the probability of error, providing access to customer behaviour patterns and helping to automate processes, among other things. But to benefit from big data, marketing teams must first make sure that they have the necessary tools to effectively analyse this data. With technological advances, I believe such tools will soon be within reach of smaller businesses. The prevalence of big data will also inevitably lead to the need for talented Data Analysts in the industry. At the end of the day, Data = Information = Power. The opportunities that data presents are endless, but most importantly, its use will allow brands to find their edge in a highly competitive market. Marketing that is centered around data will help us make smarter use of finite resources and allow us to consistently refine our efforts. This helps to improve workflows and increase the quality of the content we generate, which in turn improves the quality of responses we receive. How do you describe a modern marketer of today? A modern marketer is one who is extremely comfortable with digesting huge amounts of complex data and crafting the right strategy in order to deliver effective story-telling throughout the various stages of the customer journey. He or she also needs to be highly adaptable to changes in the marketing industry and have a clear understanding of quickly evolving consumer habits to avoid being redundant. Mutammim is a digital marketing expert with strengths in Digital Strategy, Business Planning, Operations Management and Sales. 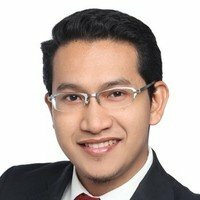 Much of his digital marketing experience lies in the financial services industry in the ASEAN region, leading marketing teams in developing and executing digital strategies, marketing campaigns and social media engagement. Mutammim currently heads the marketing department at Fullerton Markets, Asia Pacific’s fastest-growing brokerage firm. He leverages his core skills to create highly effective go-to-market strategies and generates leads by fostering meaningful relationships with the company’s key regional partners.